The Pound fell below the key 1.50 level against the Euro and the 1.70 level against the US Dollar yesterday after the currency was weakened by dovish comments made by Bank of England Governor Mark Carney. In testimony to parliament’s Treasury Committee, Carney said the exact timing of rate rises would be driven by data and reiterated that when rate hikes do come they will be limited and gradual; investors were widely disappointed by his words. The currency is likely to stay under pressure throughout today’s session due to a lack of market moving UK data. The US Dollar advanced against most of its major peers following the release of better-than-expected US housing and consumer confidence data. New home sales soared to a six-year high and confidence climbed to its best level since 2008. The ‘Greenback’ retreated somewhat overnight as concerns over Iraq dampened sentiment. News broke that Syrian jets had launched airstrikes in western Iraq as the war against the Islamist militants escalates. Today investors will be looking ahead to US GDP, Services PMI and Durable Goods Orders data for further Dollar direction. The Euro made gains against the Pound yesterday despite data showing that German business confidence fell in May. The single currency found support from what appeared to be an easing of tensions in Ukraine after Russian President Vladimir Putin called on his parliament to revoke the right to launch military action in the nation. Hopes that an end to crisis was on the cards were harmed however after a Ukrainian helicopter was shot down, killing all aboard. The attack threatens a ceasefire called by both sides. The ‘Aussie’ remains under the 94 cents level against the US Dollar as demand for riskier assets fell as concerns over the conflict in Iraq weighed. With US Special Forces arriving in the country and Syrian jets launching strikes against militant positions the conflict looks set to escalate further. The situation in Ukraine also caused concern as a truce between the government and pro-Russian rebels was put in doubt. The New Zealand Dollar, like its Australian counterpart, was under pressure from geopolitical concerns and was seeing muted trade ahead of the days US data releases. 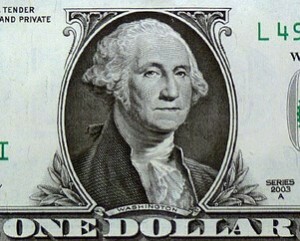 The currency softened yesterday following the release of strong data out of the USA. The Canadian Dollar was little changed as it continues to receive support from last week’s positive data releases and higher oil prices. Gains are unlikely as investors cast a wary look at geopolitical tensions and today’s US data releases. The Rand was holding onto its gains as investors assessed the consequences of the end of the five month long platinum miners’ strike. Further gains are likely to be tempered by worries over Iraq and Ukraine.